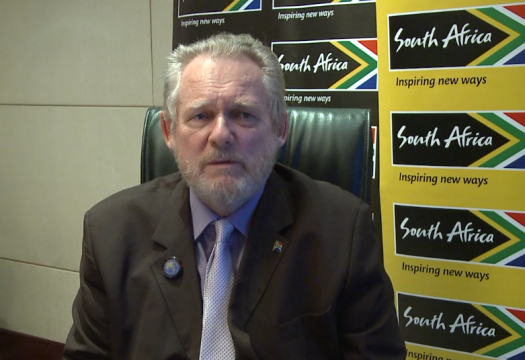 South Africa’s Minister for Trade and Industry Rob Davis has praised the first China International Import Expo, saying that it represents an important opportunity for his country to expand exports to the Chinese market, during an exclusive interview with People’s Daily Online on the opening day of the CIIE in Shanghai, Nov. 5. 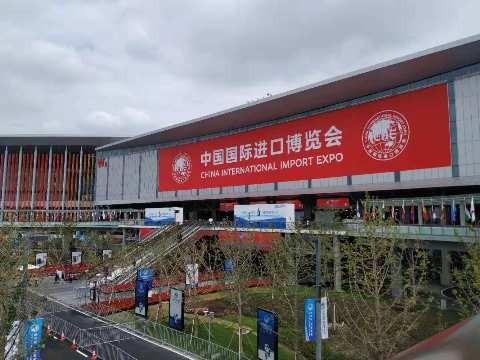 More than 3,000 companies from over 130 countries and regions have flocked to Shanghai to participate in the CIIE, and South Africa is attending as one of 12 guest countries of honor and will host a national pavilion. “For us, this event takes place at a very important moment in the history of the world economy, but also at an important juncture in the relations between South Africa and the People’ s Republic of China. In terms of the economy, we know that we have moved into a period which is characterized by unilateralism and increased protectionism, and there are some very serious challenges to the future of the multilateral trading system,” said Davis. As an individual country, China is South Africa’s largest trading partner – both for exports and imports. However, Davis notes that South Africa is currently in a trade deficit with China, and that further investment is the key. Davis will also be attending an investment forum on Nov. 6, because he believes that trade will be driven by investment and that there is a need now to promote investment led trade. Davis notes that Chinese investment in South Africa is bringing in manufacturing capabilities and capacity, creating jobs and opportunities to produce local goods which otherwise might have been imported, as well as new technologies. He explained that efforts [at the CIIE] as well as in other aspects of bilateral relations are on trying to draw the attention of Chinese investors in many mining, manufacturing, infrastructure, and development sectors among others that South Africa is an investment destination worth taking seriously. An event like the CIIE, Davis adds, gives South Africa the opportunity to show their products which can find their way into the Chinese market and narrow the trade deficit.